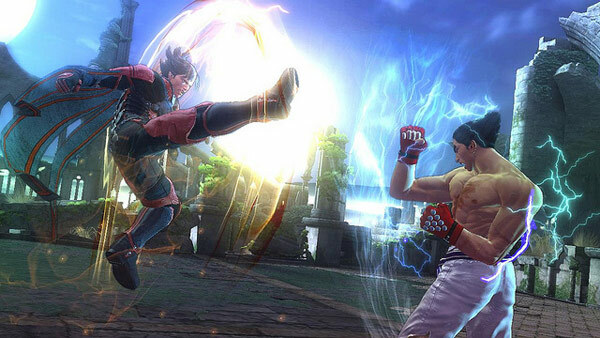 Tekken Revolution launched today, but unless you've had the chance to play it, you're probably wondering how it all works, as Namco hasn't provided a lot of details as of late. 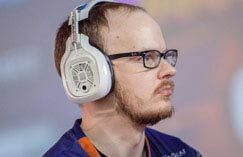 We spent some time with the game here and EventHubs and wanted to offer a rundown of what you can expect. There's a lot of details in this post, so we've broken everything down into sections to make it a bit easier to find what you're looking for. From the coin system to how the current DLC setup works, we're trying to cover all bases here a new player would want to know. Hit the jump to check it all out. Tekken Revolution is built around a coins (credits) setup. Think of it like putting a quarter into an arcade machine to play, the concept is much the same. The game starts you off with a few credits that you can use to play arcade mode or online, doing so costing you one credit each. You can unlock credits by winning online matches, beating arcade mode and as more time passes, more credits unlock automatically as well. You can purchase premium coins if you want to pony up some cash, and don't want to wait for more to become available. The game is very similar to Tekken Tag Tournament 2 in how it plays, its modes and most everything else. It's basically a stripped down TTT2, but that's not necessarily a bad thing, as it's a free title, and there's a good amount of fun and time that can be spent here without spending a dime of your own money, if you so choose. You're required to be online at all times while playing Tekken Revolution, so if the servers are having trouble, or you're having problems with your internet connection — you cannot play. • New coins appear after a certain amount of time — regardless if you're online or offline, so you can shut down your PS3 without worry and come back to a fresh amount of coins to use. • Arcade Coins allow you to play arcade mode, you can have a max of 2 at one time, and a new coin comes up every 60 minutes. • Battle Coins allow you to play the online ranked and player match modes. You can have a max of 5, and a new one comes up automatically every 30 minutes. 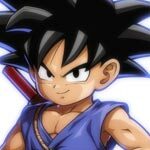 • Premium Tickets are awarded to you by accomplishing various feats, like beating arcade mode and such. You can use a premium ticket to play arcade or ranked mode if you're out of coins. • You can hold a max of 999 Premium Tickets, and if you use one to play an online match, and you win that match, you'll earn another Premium Ticket as a prize. If you lose that online match, you'll gain more XP than you otherwise would have. • Premium Coins work the same way as Premium Tickets, except you have to purchase these. Here's the pricing structure, all in USD. - 4 for 99 cents. • The net code is really good. It feels like the same net code that they used in TTT2, so matches are smooth and fun. • When waiting for a Ranked Match the game puts you into a training mode automatically while you wait. • A player dropped (disconnected) on me during our match, but I was still awarded with XP, although it still cost me my coin/ticket, just like if the match had been completed. • Namco Bandai is also running events for Tekken Revolution, where they reward players with double the amount of XP, bonus tickets and quite a bit more. When you start the game, you should be notified of any major developments. • In overall gameplay terms, the title is VERY similar to a 1v1 version of Tekken Tag Tournament 2. Most of the moves you know from the series are back, but this title puts a bit of a unique spin on them with Critical and Special Arts. • Each fighter has four Critical Arts, which give you the chance to do increased damage on critical hits. Combatants also have one Special Art, which gives them a period of invincibility at the start of the move. You can spot Critical Arts and Special Arts by the particle and motion blur effects. • Playing matches earns XP, which can be spent to level up 3 different attributes. Power (damage done), Endurance (stamina), and vigor (increase critical hit chance). Heading into the game's Character Enhancement section will let you spend these points. 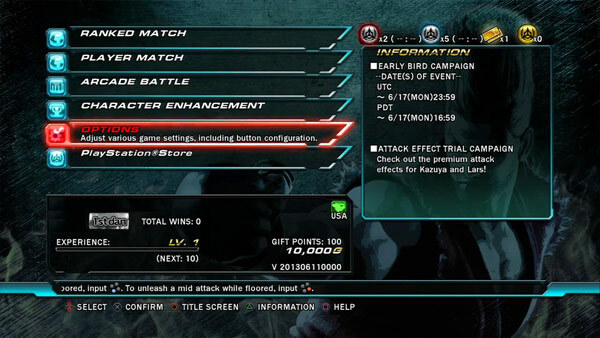 • Arcade mode is super easy and even novice Tekken players should be able to work their way through it. I'm not sure if the difficulty progressively gets harder, though. • Eight playable characters at the start are unlocked: Kazuya, Asuka, Paul, Law, Lars, Jack-6, King and Lili, although in arcade mode you can play against other fighters like Bryan, Leo, Steve, Heihachi and Ogre. These fighters are all likely playable and can be unlocked over time. 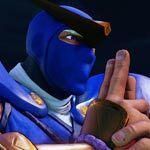 • Playing a few arcade mode matches and ranked matches unlocked a character for me, so it doesn't appear that unlocking characters costs anything at this time. As far as I can tell, only coins currently are tied to actual money, but that could very well chance as new systems/items are introduced. 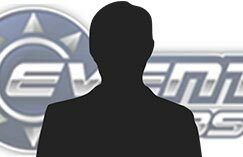 If you have any questions about Tekken Revolution, from how it works or plays, let me know in the comments and I'll do my best to either follow up in this article, or respond directly.